Sturdy bush hunter for all jobs. 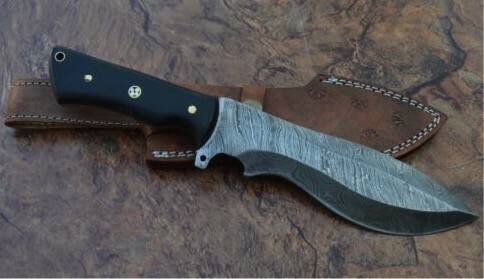 Eye catching but functional Damascus steel blade. Pinned black horn handle adds to the look.